If you can get yourself a vehicle, driving can be a really great way to travel when overseas. Especially when you are in a big country with a lot of ground to cover, like Australia. It gives you the freedom to get up and go where ever you want on your own schedule, instead of being trapped on long bus rides or annoying tour groups. 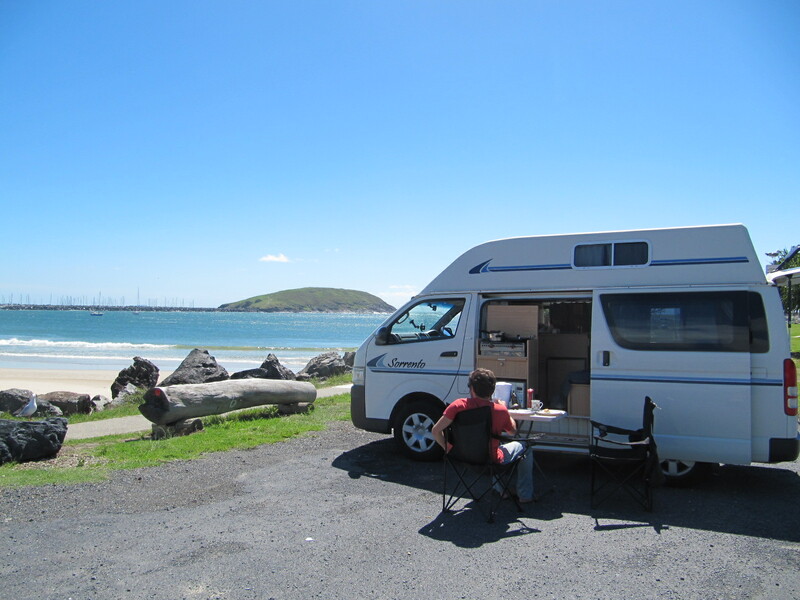 We managed to land a one-way relocation special on a sweet campervan for 5 bucks a day in OZ, but this meant we had to drive from Sydney to Cairns (like 1800 miles) in 8 days. We managed to visit many beautiful beaches and cool forests along the way — but many hours were spent out on the open road. Our second road trip was a 3 week journey in a minivan named Johnny around the amazing South Island of New Zealand (much more on that later). After these two long haul car journeys, I felt like quite the road trip expert — so I put together this road trip gear kit. Click through to read the Ultimate Road Trip Survival Guide — all the accessories and apps you will need to get through those endless miles. The best food to have in the car for a road trip winner is: NUTELLA. Nice information!!! You have explained very well the benefits of keeping road kit. This guide will definitely make trip enjoyable.